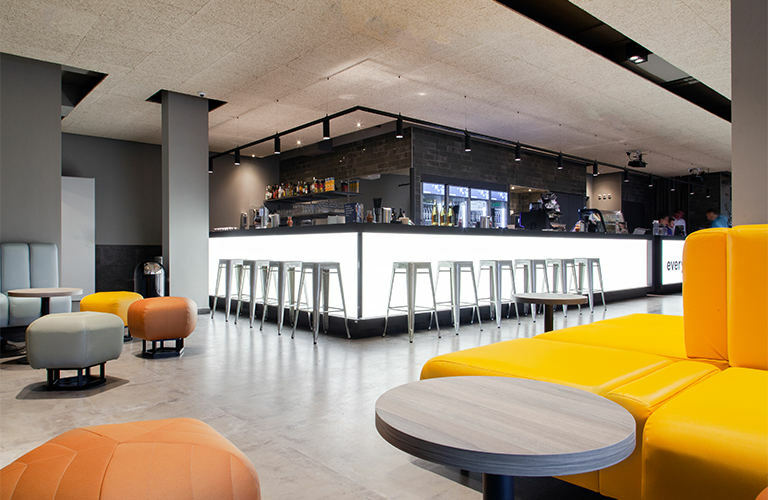 Our brand new a&o hostel Frankfurt Ostend is designed in top modern „a&o: next generation“-style. 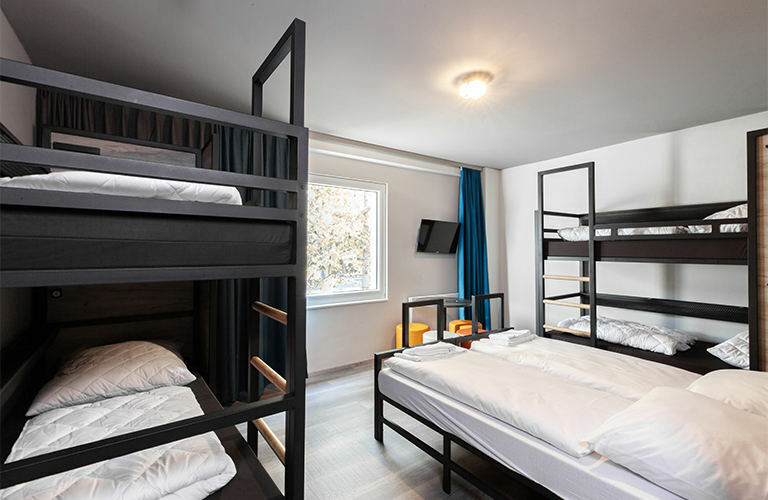 In 226 single, double, family and shared rooms you sleep cheap, well connected and above all cozy. 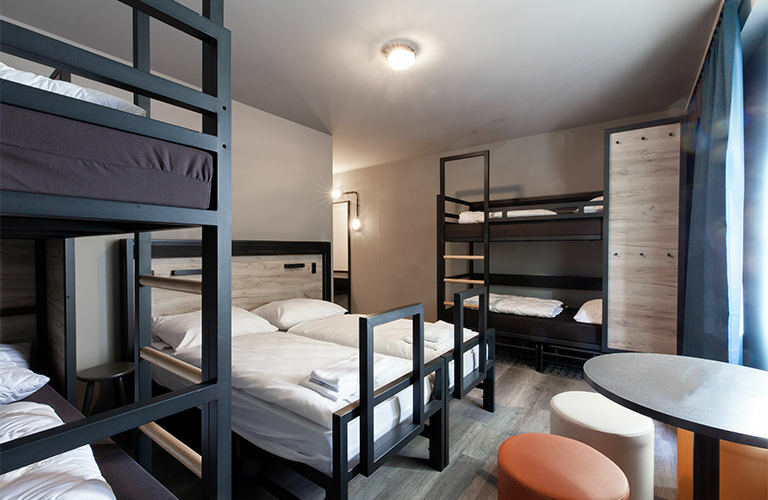 Whether as a backpacker, family, business traveler or school class – everyone will find the right bed. 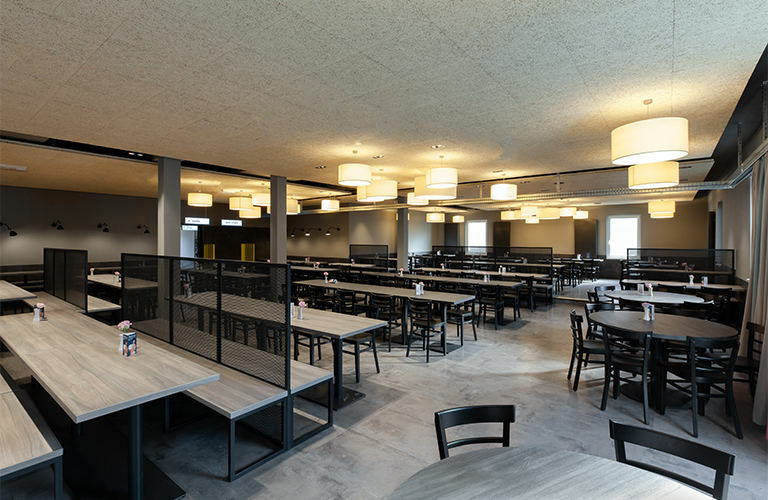 With the all-you-can-eat breakfast buffet and the 24-hour snack bar, you'll be well catered for. Free highspeed Wi-Fi throughout the house allows you to stay connected at all times. Optionally, as in all our a&o hotels, there is also the late check-out or packed lunches for little money. Book your cheap bed or room now and be among the first guests ever – already at the end of 2018! The Hanauer Landstraße in Frankfurt has been honored as a hip creative mile, where designers and innovative companies are based. 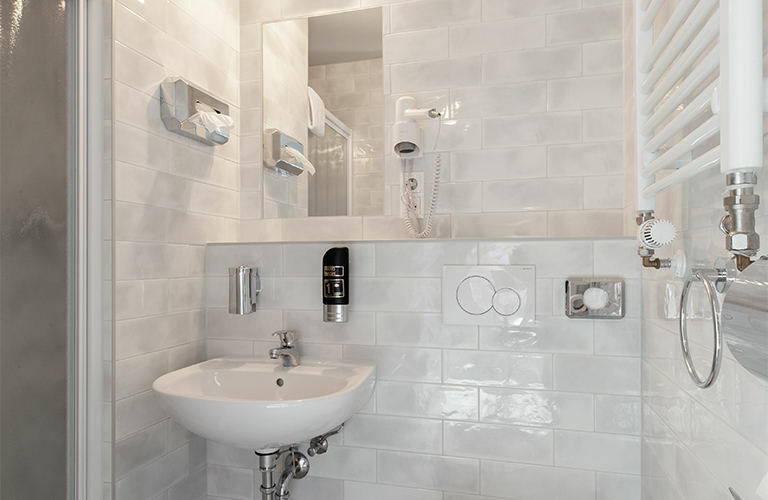 With the stop directly in front of the hotel door and the train station Frankfurt Ost in the immediate vicinity you are directly connected. Within walking distance you will reach the Hafenpark in a few minutes: a modern games and sports park – perfect for workout or relaxation. The Ostpark and Frankfurt Zoo are also around the corner. There is a shopping center, restaurants and bars. And the Main is only a stone's throw away! 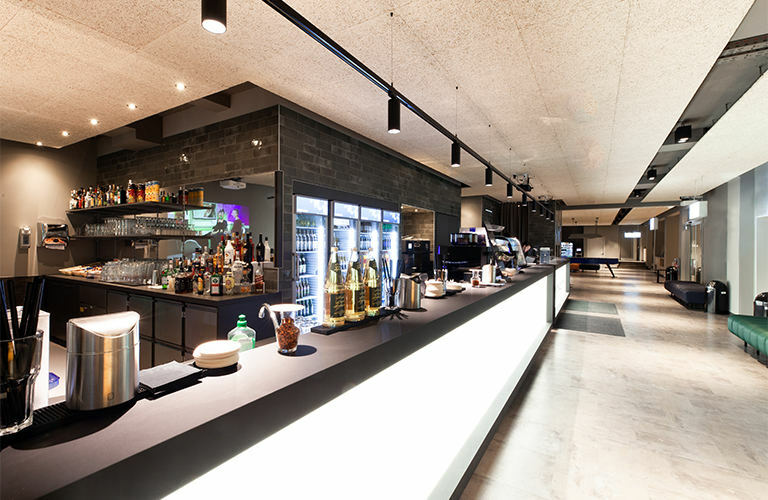 In our brand new styled a&o Hotel, we've actually thought of everything: 24-hour service and snack bar, free Wi-Fi, kicker and pool table, meeting rooms, coworking space and children's play area. Bus and car parking spaces are also available so that those who arrive by car will not miss out on anything. If there are still open requests, our highly motivated employees are happy to help – and there is still a smile on top! The free luggage storage service was a life-saver! And the location was great too! 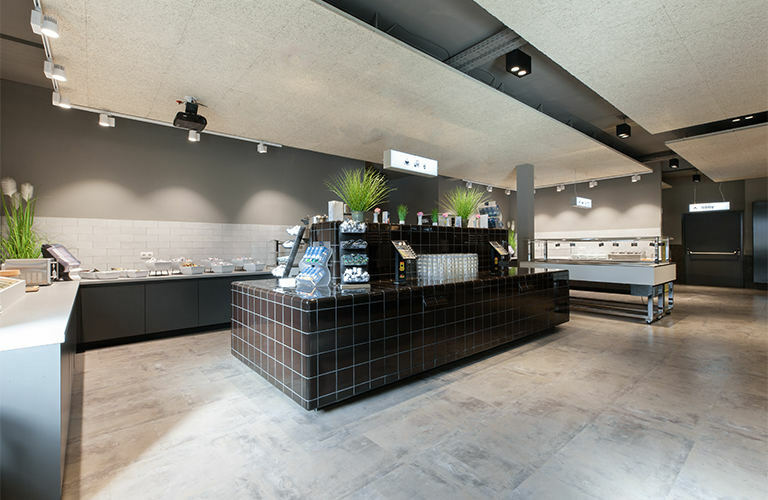 By foot: From Ostbahnhof it only takes 13 minutes to walk to the a&o Hostel Frankfurt Ostend. Arriving at the Ostbahnhof, you first find your way onto Hanauer Landstraße, which leads you directly to our front door. You just walk 10 minutes straight ahead, following the course of Hanauer Straße in eastern direction, until you see our hostel on the left side of the street. By tram: In front oft the Ostbahnhof (at Hanauer Landstraße) you‘ll find the tram station Ostbahnhof/Honsellstraße. Get on the tram 11 (direction Schießhüttenstraße), drive 2 stops (around 5 minutes ) and get off at Schwedlerstraße. Right next to the station is our a&o Frankfurt Ostend. Tip: Tram 11 will take you directly to the city center and farther to the Central Station (Hauptbahnhof) in 20 minutes (direction Zuckschwerdtstraße). The Central Bus Station is on the south side of the Central Station. The tram runs in front of the main exit of the Central Station. Take tram 11 towards Schießhüttenstraße. Within 11 stops and 20 minutes, this will take you to Schwedlerstraße. Here you'll find our a&o hotel. Your fist destination at Frankfurt Airport is the local regional train station. Take the S-Bahn line S9 (direction Hanau Hauptbahnhof) for 6 stops. Arrived at Konstablerwache, you have to change to the underground line U6 and drive to Frankfurt Ostbahnhof (2 stops). 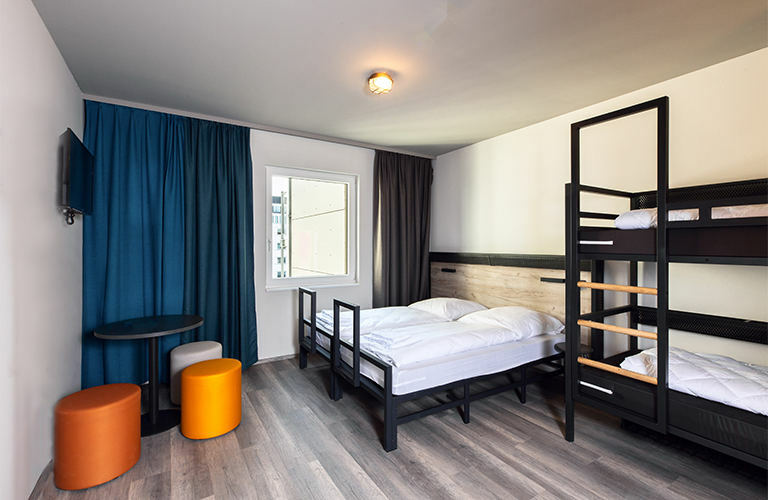 From Ostbahnhof it only takes 13 minutes to walk to the a&o Hostel Frankfurt Ostend. Arriving at the Ostbahnhof, you first find your way onto Hanauer Landstraße, which leads you directly to our front door. You just walk 10 minutes straight ahead, following the course of Hanauer Straße in eastern direction, until you see our hostel on the left side of the street. For car travelers, click on this Link and enter your starting address. 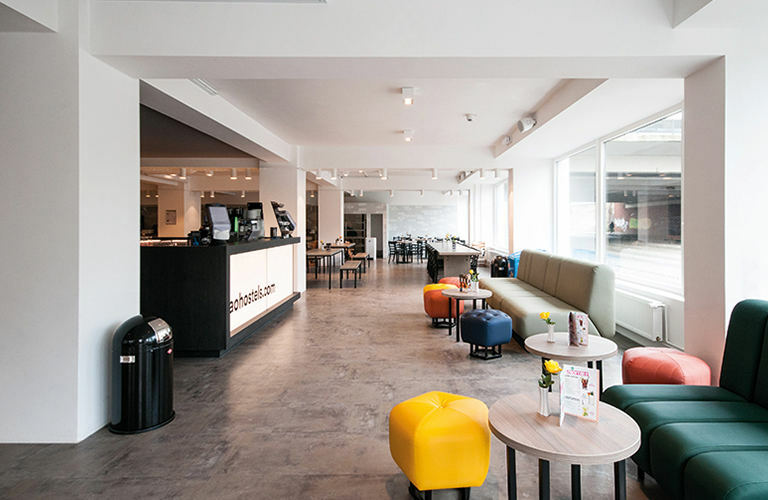 The Google Maps route planner navigates you comfortably to our a&o Frankfurt Ostend.